Karen Martin Reads: Post 66: And she reaches her target of 40 books in 2017! Post 66: And she reaches her target of 40 books in 2017! Tada! I am very happy to report that at long last I have achieved my goal of reading 40 books in a year. And what's more, with school breaking up early this Christmas, I harbour a sneaky hope that I might even surpass that total. It has been a good reading year. In the quiet week between Christmas and New Year I will offer the KarenMartinReads review of 2017 and aim to give you my top 10. 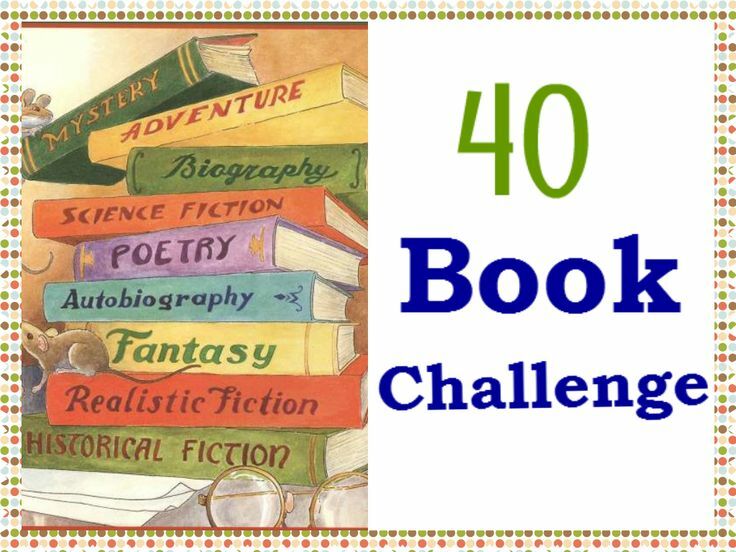 But for now, the final two titles of the golden 40 were The Penelopiad by Margaret Atwood and The Child in Time by Ian McEwan. Both were charity shop purchases and eagerly bought. I had wanted to read the first of the Myth series by Atwood ever since a former student had used the chorus as the backbone for a creative transformation of the text. I'm now more diligent and read every base text that my A-Level candidates select, but back then I was content to read only the relevant extracts. (Apologies Lizzie, if you're reading this, but if I remember rightly, your grades came out perfectly)! read that at university many moons ago, I was interested to see Atwood's perspective. In short, she tells the story from Penelope's, (Odysseus's wife) point of view. The tale tells of a marriage bargain and the loneliness and trepidation of a young girl made to sail from her home to the unknown and much smaller island of Ithaca. Once there, she sets about becoming a good wife, fulfilling the traditional roles expected of her and negotiating around proprietorial nannies and servants. When Odysseus leaves to rescue Helen from the arms of Paris in Troy, Penelope is left alone and vulnerable. Atwood portrays her protagonist with strength and conviction. Wanting her husband to be proud of her on his return, Penelope sets about maximising his assets, growing his production and increasing his yields and his livestock. With Odysseus's failure to return long after the other adventurers had been reunited with their families, others began to assume him dead. Rumours circulated and once more Penelope was vulnerable. Prospective suitors, wooed by her increased wealth and assets set up camp. She was obliged to show hospitality and they plundered her crops, her foodstores, her livestock and her maids. And it is here that the story is really interesting. Atwood uses the Greek dramatic device of a chorus throughout the novel. This is voiced by the 12 maids and is often in deliberate poetic construct. These maidens were a central part of the ending of the original tale - central because Odysseus ordered their deaths. Even if you didn't know the original tale, then this isn't a spoiler: they announce their own demise very early on in the book. 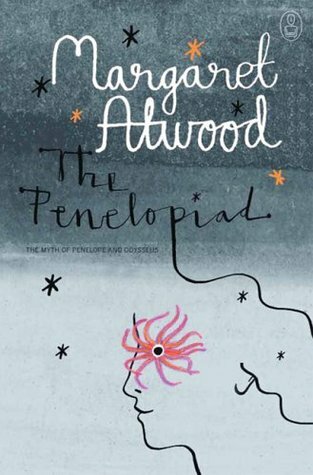 Atwood constructs her book around the maids, making their voices even more compelling than Penelope's. Perhaps because they have no privilege and are, in effect, prisoners to the role that life has assigned them, Atwood gives them a voice and it is a powerful one. They are not meek and they do not die quietly. Even in Elysian Fields, the maids give Penelope no peace. Atwood's depiction of Elysium is amusing; the main characters continue their feuds beyond the grave. Helen of Troy remains smug in her beauty and ability to woo any man; Penelope remains jealous of her cousin. Odysseus is condemned to disquiet, choosing reincarnation multiple times with little success and little evidence of having learnt from prior experience. This novel was both lighthearted and challenging. Anyone who is interested in this reworking, might also like the poetry of Carol Ann Duffy in The World's Wife, where she re-imagines real and fictional male characters through the voices of women who loved them. And having your own voice is important. No-one should be overshadowed by one that is louder or more insistent. We all need to be heard in order for us to have a sense of self, a conviction of our own worth. We all need someone who thinks we are worth listening to. 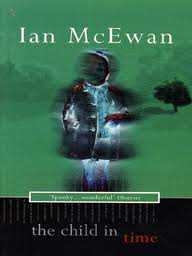 In Ian McEwan's novel, introspection is at its heart. The protagonist opens the book with an ordinary life in an ordinary family. This quickly changes when his daughter is snatched at a supermarket and suddenly he is capitulated into a life which is extraordinary for all the wrong reasons. The loss of his daughter, Kate occurs in chapter one and the rest of the novel shows how he copes, how he goes on from there. And it is significant that the loss of identity brought about by such grief, robs Stephen of his voice. He doesn't know what to say or who to say it to. His wife Julie, responds similarly, retreating into herself and then going away. Other key characters, Charles Darke and his wife Thelma, and Stephen's parents, all keep silent, all keep secrets and in doing so, seek to protect themselves from the outside world. There is a thread of truth running through the whole novel. Working for a government sub-committee, Stephen exposes a deceit. His ultimate conclusion is that in public office, civil servants work between the lines of truth and lies and nothing has any integrity. As is often seen in McEwan's fiction, he also makes a nod to science. In this novel he examines the concept of time through coincidence, hallucination and the paranormal. In all of this Stephen is seeking meaning, trying to make sense of what has happened, who he is and what he is to become. This is a beautiful story, told with typical McEwan control. The novel seems episodic, with some vignettes seemingly random in their inclusion. But the master storyteller draws all these elements to a pleasing conclusion and not a word has been erroneous or wasted. The overall impression is of an evocative novel that explores the interior life of an ordinary, decent man. The ending is wholly satisfactory and I would be interested to hear whether any of you predicted it. I'm left with an optimistic view of humanity, and with the novel's bleak premise, that is a pretty amazing feat. So now to watch the film version with Benedict Cumberbatch and see if TV can evoke as effectively as the real thing!